Before dawn on the morning of February 22, hundreds of French police in riot gear and equipped with trucks, bulldozers, helicopters and drones, evicted dozens of nuclear waste dump opponents who had occupied a disputed woods in the Meuse district for the last 18 months. 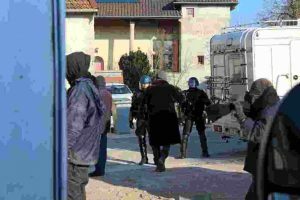 A public relations offensive accompanied the action, vilifying opponents with images of previous clashes and supplying the media with dramatic body-camera footage from hooded police wielding chainsaws as they dismantled the protest camp. 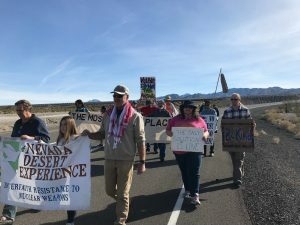 In anticipation of such police action, a recently-established support network among nuclear opponents across the country was pressed into action. That night, there were demonstrations in front of Prefecture offices in more than 70 cities across France. 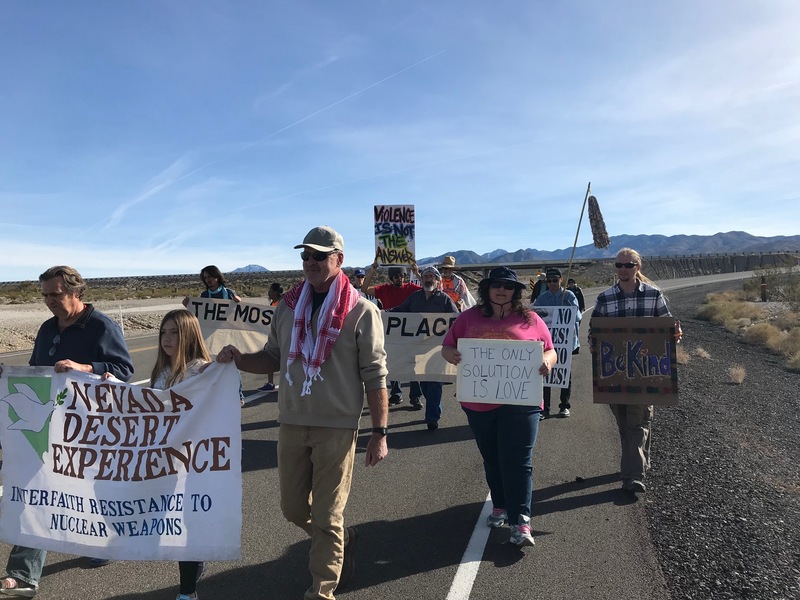 On Saturday, January 27, 2018, Nevada Desert Experience and Western Shoshone Tribe conducted a peaceful protest at the boundary of the Nevada National Security Site. The protest was to bring awareness to January 27 being “National Down Winders” day.